Others joined in from cells adjacent to and above the first man’s, jeering the 20 or so legislators, journalists and corrections officers walking the unit’s pale gray expanse. Some visitors shot video, some snapped photos, others chit-chatted—but not with the inmates. Everyone peered into their tiny cells, 62 of which somehow manage to house two Stillwater offenders. A few outsiders were even allowed brief entry into one cell, where they gazed at the occupant’s meager possessions—a plastic bottle of hand lotion, five rolls of stacked toilet paper, a bikinied centerfold. Before they entered, the inmate—an aging, ailing, heavy-set man—was temporarily led away. The idea wasn’t to display these men as a human zoo exhibit. It was to show outsiders, and by extension the public, the situation confronted daily at the Minnesota Correctional Facility—Stillwater and the rest of the state’s prisons. After a while, the visitors streamed back toward the entrance to continue their tour. The echoes of inmates’ indecipherable shouts grew a little less intense, allowing one voice to cut through the din. “We need some help here!” the man shouted. His feeling plainly is shared by Department of Corrections’ staffers, a big part of whose job it is to protect inmates from each other and themselves from inmates. It’s also a sentiment shared by their bosses. “For me, this is a critical time,” new DOC Commissioner Paul Schnell told lawmakers on Jan. 23. In fiscal year 2018, there were 120 inmate assaults on staff, 46 more than the year before. Thirty-one involved a weapon and 30 caused injury, according to DOC data. The pace shows no sign of slowing in fiscal year 2019. Between July 1, 2018, and Dec. 31, 2018—just halfway through the current fiscal year—there were 59 assaults on staff, 16 with weapons. One of those, on July 18, killed Officer Joseph Gomm. Gomm was beaten with a hammer and stabbed twice with a homemade knife in the prison’s Minncor industrial building, according to a criminal complaint against his alleged assailant, Edward Muhammad Johnson. Visitors last week weren’t allowed into that building, which has been closed since Gomm died. His death, and Officer Joseph Parise’s subsequent death from heart failure after another inmate assault at Oak Park Heights, has focused the state’s attention on prison safety and security, most particularly on its system-wide staff shortage. DOC is authorized to employ about 2,100 corrections officers, but reportedly employs about 70 fewer than that. After Friday’s tour, Rep. Brad Tabke, DFL-Shakopee, said Stillwater alone is 30 workers short of a full complement. In 2017, Gov. Mark Dayton proposed hiring 47 new full-time Minnesota prison security staffers by fiscal year 2020. His request went largely unfilled. Sgt. John Hilyard, a corrections officer at Stillwater, on Friday pinned the blame for the Gomm assault directly on the staff shortage. “That is why he died,” Hilyard said. Schnell didn’t go quite that far while addressing lawmakers last week. But he did say the losses of Gomm and Parise were devastating. Such concerns led to the creation of the new Corrections subcommittee, chaired by Rep. Jack Considine, DFL-Mankato. House Speaker Melissa Hortman has said its primary role is to examine state prison staffing levels. Beefing up security is not just a matter of keeping people safe inside the walls, Considine said. “Without safety and security in the institution, we can’t accomplish other goals of adequate programming, meaningful job training and improvements in education,” he said during the Jan. 23 legislative hearing. 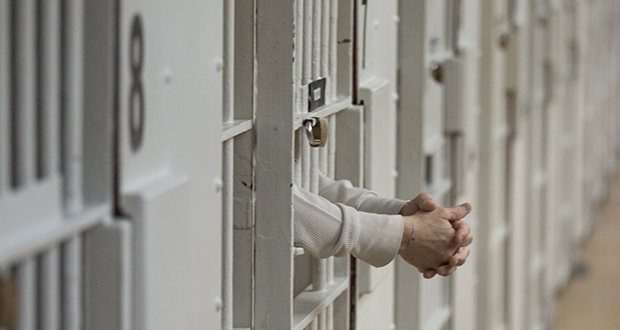 That makes it harder for inmates to “go home safely and with some hope,” Considine said. Yet after the Gomm incident, Stillwater’s welding, machine technology and carpentry training program all closed down, prison officials indicate, leaving some inmates with less to occupy their time. The prison has tried to partially compensate by allowing a college to offer tablet-based courses, which prisoners can take inside their cells. Considine, who worked in corrections for decades as a program manager, said he was “distressed” to hear the welding program was closed. He said he often steered inmates directly to decent-paying welding jobs upon their release from prison—and many were trained at Stillwater. He hopes it reappears soon, he said. “We need more staff,” Considine said after the prison walkthrough. To that end, he plans to roll out his “Joseph Gomm Bill” sometime after a Jan. 30 subcommittee hearing inside Stillwater’s prison gym. That meeting takes place after this edition’s deadline. Mariani agrees that last year’s tragedies demonstrate a need for more staff and that the prison tour brought home that point for him. For example, he learned why two people are needed to staff the segregation unit’s central command area, which controls its doors, he said. “If someone hits a wrong button and the door opens, then someone who should not have an open door has an open door,” Mariani said. If a staffer working alone in that situation was out of position, no one else could catch the mistake, he said. Yet legislators might be tempted to eliminate one of those positions in the name of efficiency, he said. “It’s kind of hard to explain it to people if you are not actually there seeing it,” he said. Staff levels in Minnesota’s state prisons need to be “modernized,” Mariani said. “I don’t think that takes much convincing,” he added. Yet Mariani, Considine and his allies will have some convincing to do. 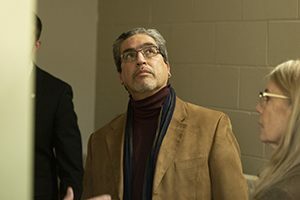 Though the DFL’s new House leadership has put corrections—and criminal justice reform generally—somewhere near the top of its priority list, any staffing request would staff face stiff competition in a budget year. And leaders from both parties are tamping down spending expectations. The state has a nominal $1.5 billion surplus, but leaders warn it’s really more like $382 million with inflation factored in—something the state stopped doing in budget forecasts back in 2003. Barring unforeseen new revenues, even that will turn into a deficit in a few years, they indicate. That has them steering legislators away from “tails”—legislative jargon for ongoing expenses. Hiring staff is the classic example of a spending tail. Mariani says he knows convincing others to go along with that will take some doing. Yet Mariani said he is confident he and his allies can make the case.